The dark brown amber beverage pours into my cup with not as much carbonation as I have seen before in sodas. The lower carbonation makes the spices and flavorings come out a little more, but it could have had a bit more to have a nice refreshing crisp finish. The taste is based on a sweeter root beer sweetened with high fructose corn syrup and could have been a little lighter and smoother with a real sugar or brown sugar to give a little more complexity. The root beer flavor focuses on vanilla and anise or liquorice mixtures in my mouth. The guarana and high caffeine do not lend bitterness to the beverage but another layer of underlying spice. It was not the best root beer I have had ever, but ranks in the middle of micro-brewed root beers and beyond a simple grocery or mass produced brand of root beer. I enjoy the extra energy boost I got from the soda compared to the normal amounts found in most brand sodas. I would buy this again in the color changing 16 oz. can form. It had a nice flavor and balance to the spices that I found nice. 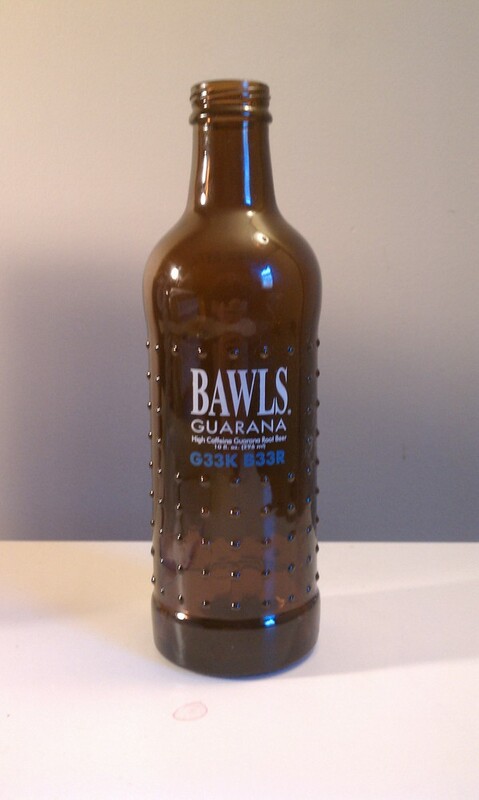 As far as the BAWLS brand goes, the original still is my favorite, but both are still fridge worthy for long hours of gaming or on the go.